The city was founded in 1486 AD by the Rathore prince, Rao Bikaji, hence named Bikaner. Bikaji was son of Rao Jodhaji who had asked his son to establish a kingdom of his own. The challenge was accepted and Bikaji choose the wild country 'Jangaldesh' as his territory and thus the city of Bikaner came into existence. A seven-kilometres wall with five entrances was built to protect the city from vagaries of the desert and any external aggression. The city flourished as an important trade centre between Gujarat seaports and West Asian countries. The unbroken line of descendants of Bikaji ruled Bikaner till India got Independence. 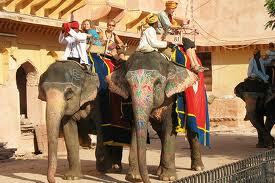 Bikaner is known for good breed of riding camels, which are among the best in the world. The Camel Festival held every year is famous all over the globe. Bikaner has many magnificent buildings made of Reddish Pink sandstone that transcends the surrounding barren wilderness. Unlike other cities of Rajasthan, Bikaner has been able to preserve its medieval era, which makes a visitor come here year after year. 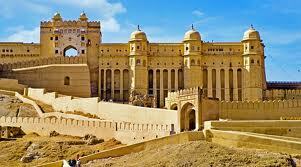 Junagarh Fort: One of the most imposing forts of northern India-- Junagarh Fort-- has remained unconquered till date. This fort was built in 15th century by one of the most able and trusted generals of Akbar, Raja Rai Singh. The Ganga Golden Jubilee Museum: This small museum has a large collection of pre-Harappan, Gupta and Kushan pottery. The rich collection of pottery, carpets, paintings, armoury and coins make this museum one of the best in Rajasthan. The Bikaneri miniatures, which are displayed in a separate section for local arts, makes visit to the museum a must. Lallgarh Palace: Designed by a Britisher for Maharaja Ganga Singh, this palace displays a magnificent blend of Oriental and European style. Bhandeshwar & Sandeshwar Temples: 5 kms from the city, these temples are the oldest surviving monuments of aesthetic heritage. These were built by two brothers and the temples carry their names. The mirror work and the gold leaf paintings in the temple are noteworthy. The temples are dedicated to 23rd Jain teerthankar, Parsvanathji. 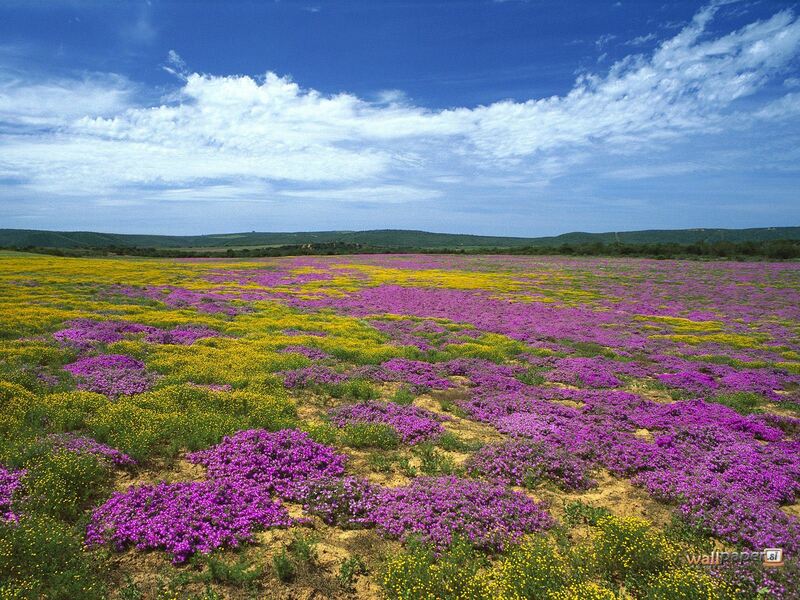 Gajner Wildlife Sanctuary: 32 kms on the Jaisalmer Road is located the Gajner Wildlife Sanctuar y. Wooded hills and lakes surround the lush green forest. One can easily spot a Blue Bull, Chinkara, Black Buck or flocks of Sand Grouse and Wild Boar living in the sanctuary. Kalibanga: Kalibanga is one of the major archaeology sites of the Harappan civilization. This place houses immense treasure of our past and is of particular interest to archaeology enthusiasts. Kolayat: 54-km from Bikaner, it is a picnic spot. Camel Breeding Farms: Take a ride on one or watch the calves gambolling, or submit to a Raika or a Rebari from traditional camel breeder, over a cup of camel's milk at the camel breeding farms just 8 kms away from the city. This farm is the only of its kind in Asia. Devi Kund: This is the royal crematorium with a number of cenotaphs. The 'chhatri' of Maharaja Surat Singh is most imposing. One cannot miss the spectacular Rajput paintings on the ceilings. 8 kms from Bikaner. Air: The nearest airport is Jodhpur 240 kms. Rail: The Indian Railways connects Bikaner with cities like Delhi, Calcutta, Agra, Jaipur, Allahabad etc. The gorgeous 'Palace on wheels' also covers Bikaner in its eight-day tour of Rajasthan. Road: Though the unfriendly desert sands surround Bikaner but the city is well connected by roads. There are local and inter-state bus services for Bikaner. Bikaner is counted among one of the major cities of the Rajasthan state and is well equipped with varied hotel options, which include luxurious and budget hotels as well as tourist lodges. Camel Festival: In the festival, one can see the 'Ship of the Desert' at its sporting best. The festival is held in January every year. Karni Mata Fair: Held twice in a year--April/ May and October/ November-- the fair is celebrated on the ninth day of the Navratri. Devotees throng the temple to worship Goddess Durga and her incarnations on this day. A stroll down the King Edward Memorial road and inside Kote Gate will reveal the shopping pleasure in Bikaner. The purses, slippers made from the camel are worth a bargain. The camel skin also ends up as cushions and lacquered lampshades. The local carpets and the woodwork are very popular among the tourists. And who can forget the world famous Bikaneri Bhujias and sweets. Wide range of accommodation facilities are available to meet the requirements of tourists.The government approved Paying Guest system is very popular among the visitors. Bikaner has got extreme desert type of climate with high temperature difference and low rainfall. The best season to visit Bikaner between October and March. 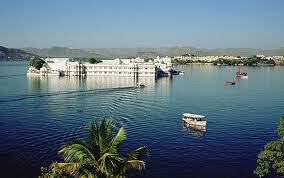 Population: About 4 lakhs people reside in this historic city. Main Languages: Rajasthani, Hindi & English. 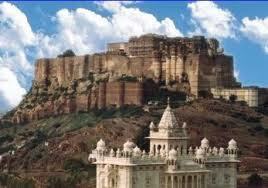 Tourist Attractions: Junagarh Fort, Lallgarh Palace.